Matt McPherson has been passionate about bowhunting all of his life. It began as a child, hunting deer with his dad and brother. They used bows because his mother forbade them from using guns, and McPherson ended up loving the sport. By age 6, he was assembling his own stick bows, and by age 13 was making compound bows. Today McPherson is still creating them at his company, Mathews Inc., where he aims for bringing continual improvement to the archery industry through innovation, impact and integrity. Mathews is a household name in the bowhunting world. As the company’s sole designer, McPherson strives to make his bows better while also making them simpler to use. He is committed to this continuous innovation, which is also one of the company’s core values. He and his team are continually working to introduce new designs, technology and products. And they have been successful in doing so. 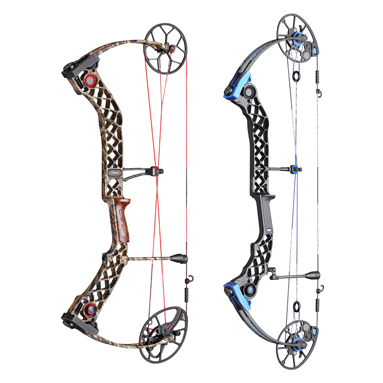 Mathews revolutionized the industry with its Solocam® single-cam technology, making a bow that is lighter, faster, quieter and more accurate. McPherson has also created a parallel limb design, instead of an arch design as found in other products. These are the types of innovations that his company has implemented throughout the industry. 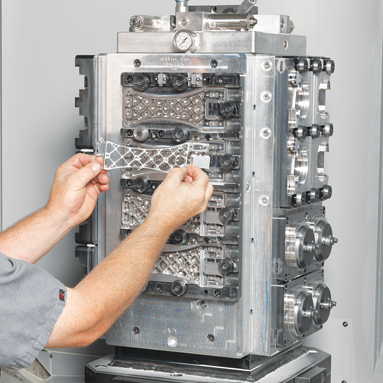 The company recently set its sights on its productivity and reliability by using Makino a51nx horizontal milling machines to bring as much as a 40 percent improvement in cycle times, helping it run more parts faster. This is just one aspect of the continuous innovation for which the company strives. 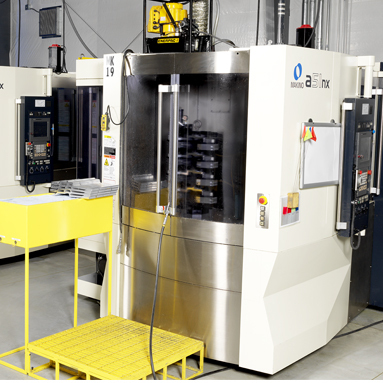 Mathews’ investment in two a51nx horizontals has enabled the company overcome previous machine reliability issues, while simultaneously improving throughput. Due to improved rapid speeds in drilling operations, Matthews saw a 36 percent cycle time reduction in the production of its riser components. Components transferred to the a51nx machines have experienced average cycle time reductions ranging between 17 and 40 percent. When machining the quiver part, Mathews can fit more parts on the fixture, producing eight parts instead of two, and can push tooling to recommended limits without any issues. Mathews has produced over 1 million bows in the 22 years since it began, and it has over 200 patented or patent-pending innovations. Mathews sells a diverse line of archery equipment, components and accessories at independent retailers around the world. Its roots go back to McPherson’s early passion for bowhunting that resulted from those hunting trips with family. In 1985 McPherson patented the InnerCam, a new type of high-letoff eccentric bow, and started McPherson Archery. A few years later, he sold his controlling interest in the company, and in 1992 began Mathews Inc. in Austin, Minn. The company moved to Sparta, Wis., in 1995. McPherson was originally from the area and spent a lot of time hunting in Wisconsin, so the location was a natural fit. Nearly all staff relocated, and McPherson credits a large part of the company’s success to these employees, who reflect the company’s core values of integrity, impact and innovation. The company always puts people before business as part of its core value of integrity. It strives to make a positive impact on its coworkers, customers and community, and the new designs and new products that Mathews produces is part of the company’s commitment to innovation. Because of its ongoing innovation, McPherson radically redesigned the company’s main bow from a single into a split-limb configuration. As a result, the way in which the limbs are attached to the bow had to change. Previously, Mathews used a cup system made of aluminum. The new bow design required transitioning from a simple cup produced on a lathe to a more complicated cup system. Production needed to ramp up for this new limb cup, but Mathews didn’t want to outsource the job. The company first tried using its existing horizontal milling centers, but the machines just didn’t have capacity. This led the company to evaluate machine tool manufacturers. Still testing the waters, Mathews purchased three more of its existing machines and one Makino a51nx horizontal milling machine to meet its production demands. The local SST dealer for Makino delivered this machine, and several Mathews operators participated in the in-house training that SST applications engineer Mike Johnson conducted. The a51nx decreased cycle times right out of the gate, on one part going from 42 minutes on the existing horizontal milling machines to 32 minutes on the a51nx. 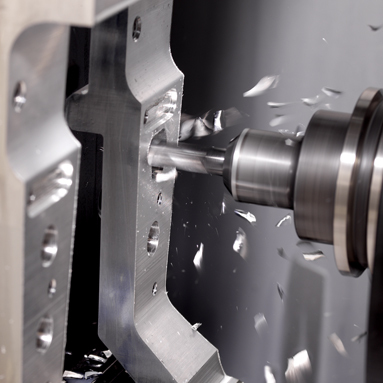 The machine has a 14,000-rpm spindle, but most of the time saved was in in-cycle, out-of-cut operations. Mathews was running the limb-cup part using window fixturing to get behind the part, which required frequent B-axis rotations. 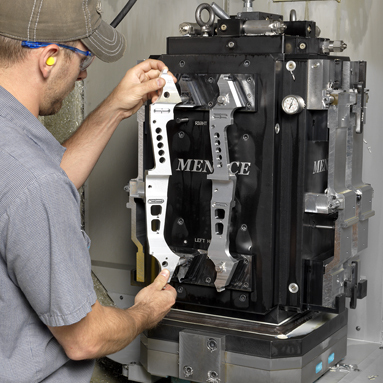 Because the a51nx machine simultaneously conducts its tool changes and the B-axis rotations, having faster in-cycle non-cut times makes a difference, especially as Mathews creates 224 of these limb-cup parts per day. Less vibration led to better quality surface finishes and tolerances on bearing holes of plus or minus 0.0002 inch. The reporting features of the Pro5 control also helped operators track this saving and make adjustments to further improve the productivity of the machine. Enjoying more capacity and productivity, Mathews purchased another a51nx for its shop in the spring of 2014 and began moving other jobs to this machine. 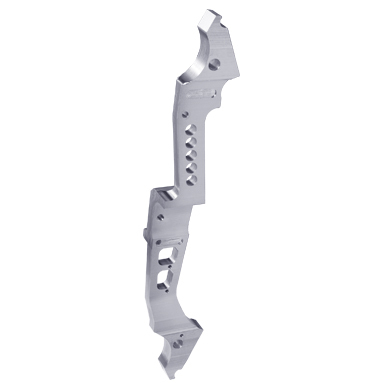 One example was a quiver accessory that was transferred from its other vertical machining center to the a51nx when the vertical machine couldn’t keep up with demand. All of this technology has helped to facilitate the innovation that McPherson strives for each day, making his complex designs come to life during production in an affordable and profitable way. McPherson’s company has produced over 1 million bows in the 22 years since it began, and it has over 100 patented or patent-pending innovations. Investing in high-performance manufacturing technology has not only enabled Mathews to innovate, but it has also given the company a foundation for quality that is in keeping with company integrity. All products are American made and carry a lifetime warranty. Mathews does not sell its products in the big-box stores, preferring instead to preserve the brand experience by selling through 1,200 licensed dealers that are highly trained. Keeping that quality means having full control over everything in the manufacturing process, which starts in the machine shop, where everything is made in-house except the castings and camouflage film that is put on the product. Tools are designed based on solid models, fixtures are created and runoff is done on the machines before releasing a part into production. 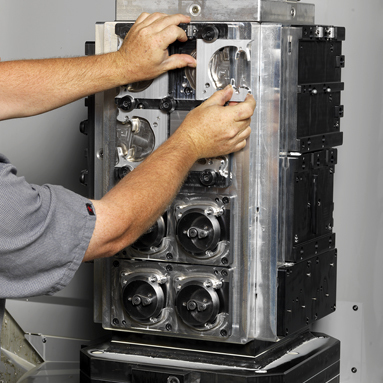 A prototype group designs the fixtures and custom carbide tooling. Then, the parts are run 24 hours a day, five days a week. They are finished and assembled in-house, before Mathews warehouses and distributes its products. That kind of growth also has impact in the community. One of the company’s core values, impact, means giving back through many charitable organizations. The company has worked with the Department of Fish and Wildlife to form the National Archery in Schools Program (NASP). The organization involves students in grades 4 through 12 in archery through their physical education classes. It has reached over 11 million students in 47 states and five countries. CenterShot Ministries is another organization the McPhersons founded. It is similar to NASP but is conducted in churches. Mathews’ companies also support other organizations such as the Boy Scouts, Boys & Girls Clubs and 4-H Shooting Sports. The McPherson family is very active in the company and its charities. McPherson’s three sons are involved in Mathews, Brennan Industries and Mission Archery, which produces high-quality bows at a budget-friendly price. McPherson is also committed to running McPherson Guitars, where he is also passionate about and deeply involved in product design. Due to box-office hit movies such as “The Hunger Games” and “Catching Fire,” there has been continued growth and popular interest in the archery industry. McPherson has already put an a51nx on the shop floor at Mission Archery, to increase capacity on its Genesis bows. These bows are geared toward those just getting into the sport, like young people and families. As Mathews continues to bring innovation to its bows, it strives to bring families together in the sport, just as it has done with McPherson’s own family.